Serious injury typically results in huge medical bills and debts from missed work or other problems. The negligence of another person may result in your inability to provide for your family and may force you to forgo important milestones such as saving for retirement or sending your children to college. 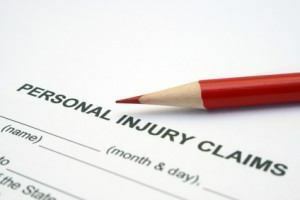 The Glendale Heights personal injury attorneys at Rosenfeld Injury Lawyers LLC provide legal representation to residents and visitors of Glendale Heights, Illinois injured on the job or in serious accidents. Was your loved one injured at work or involved in an accident? If so, we encourage you to schedule an appointment to discuss your legal rights and options during an initial, free case review with our law firm. Our legal team accepts all personal injury claims and wrongful death lawsuits through contingency fee arrangements. This agreement will postpone your requirement to pay for legal services until after your case is successfully resolved in a jury trial or negotiated out of court settlement. We offer each client a “No Win/No-Fee” Guarantee. This promise ensures you will owe us nothing if we cannot obtain compensation on your behalf. Your personal injury case is time sensitive. Illinois law imposes a two-year statute of limitations on personal injury cases. This means that you must file your claim within two years of your injury or you will not be eligible to seek compensation. Personal injury cases can be complex, especially if the case cannot be settled out of court. Therefore, it is best to get started on your case as soon as you can. Get proper medical care. Your top priority should be your health. Seeing a doctor after your accident will help you get on the road to recovery. A physician will officially diagnose your injuries and monitor you for any delayed effects of your accident. Start a journal about your accident. Use it to write an account of the accident and information such as the injuries you sustained, missed work days and other issues you have experienced. Take pictures of your injuries and any property that was damaged such as your car. Contact an attorney. A Glendale Heights personal injury attorney will help you collect evidence, speak to witnesses and other actions you’ll need to take to get started with your case. Hiring an attorney to represent you in your personal injury case is one of the most important actions you can take for the welfare of yourself and your family. If another person is clearly liable for your accident and injury, it is likely their insurance company or legal team will offer you a settlement to avoid going to court. Many people accept these settlements, happy to take the money offered to pay off their bills. However, it is likely that you are entitled to much more than what the insurance company offers initially. Most people are unaware of what damages they are entitled to in their personal injury case. Only an experienced Glendale Heights personal injury attorney knows the extent of your rights, including what compensation you are entitled to. People who hire an attorney instead of accepting initial settlement offers typically receive two to three times more in compensation than people who agree to accept an initial settlement. It is also important that you do not give the insurance company any personal accounts of the accident or sign any statements or other forms until you speak with an attorney. It is easy to give a statement that implies that you were partially or completely responsible for an accident. Will Filing a Personal Injury Suit Harm the Responsible Party? People who were injured in an accident that involved a friend, extended family member or employer are often concerned about the effects of a lawsuit on the responsible party. Personal injury lawsuits recover compensation for your injuries from insurance companies, not from the person responsible. Although it may damage your relationship, the safety and well-being of yourself, your spouse and your children should take priority.